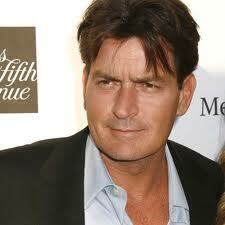 What if Charlie Sheen wanted to hook up with another Irish American star this St.Patrick's Day? Who would we see him with? And yes, by the way he is Irish. We know he's Emilio Estevez, but his grandmother, Martin Sheen's mother was Norah Phelan from County Tipperary. Well first off there is Lindsay Lohan to share some shamrock shakes with. She's Irish too and just as wild . Can't imagine what those two would get up to together, but it would sure be fun for the tabloids. Paris Hilton also has some Irish roots, but it would be a marriage made in hell between those two. The race for the next most outrageous tabloid headline could get real interesting between those two. Then there's the older woman type, say Dana Delaney, now back in the spotlight again with her new show .She's had her battles with the sauce too so her and Charlie would have much in common. Finally if he really wanted to make a splash there's Mariah Carey-- but she's taken but that never stopped Charlie before.